Even though the construction sector has been experiencing positive growth over the past several months, it still faces a steep challenge—rising material costs. 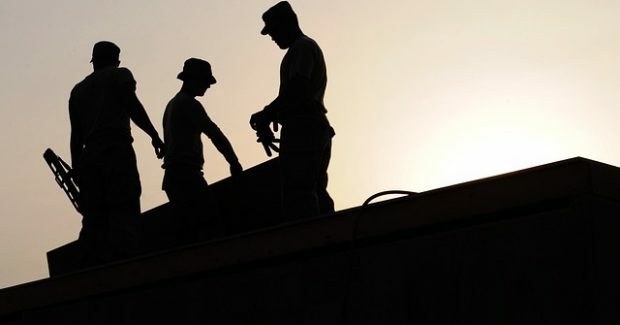 Seventy per cent of SME construction firms experienced a significant increase in material prices in 2016, the steepest rise in prices in more than five years according to the Chartered Institute of Procurement and Supply. Firms expect an additional 10 to 15 per cent increase in material costs as 2017 progresses, according to a recent survey conducted by the Federation of Master Builders. One of the main reasons for increased costs is the depreciation of the pound sterling, as roughly 25 per cent of all construction materials are imported. Develop a comprehensive risk management system. The purpose of a risk management system is to identify potential problems (such as cost inflation and careless health and safety) and develop solutions to adequately address them. Adler Insurance has teamed up with Aviva Risk Management Solutions (ARMS) to offer commercial insurance clients free access to a wide range of risk management tools and services. The services and products can be accessed online for free and comprise risk management help and advice, as well as a range of business tools and other services, including surveys, guidance and access to discounts on relevant products and services.